Trask For 2000 and up baggers, stock and raked bikes. 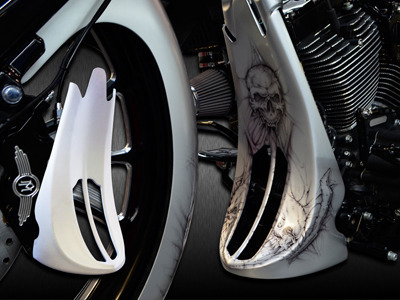 Complete the look of your bike while still providing air flow to your oil cooler. Comes with grill inserts ready to paint and bolt on.